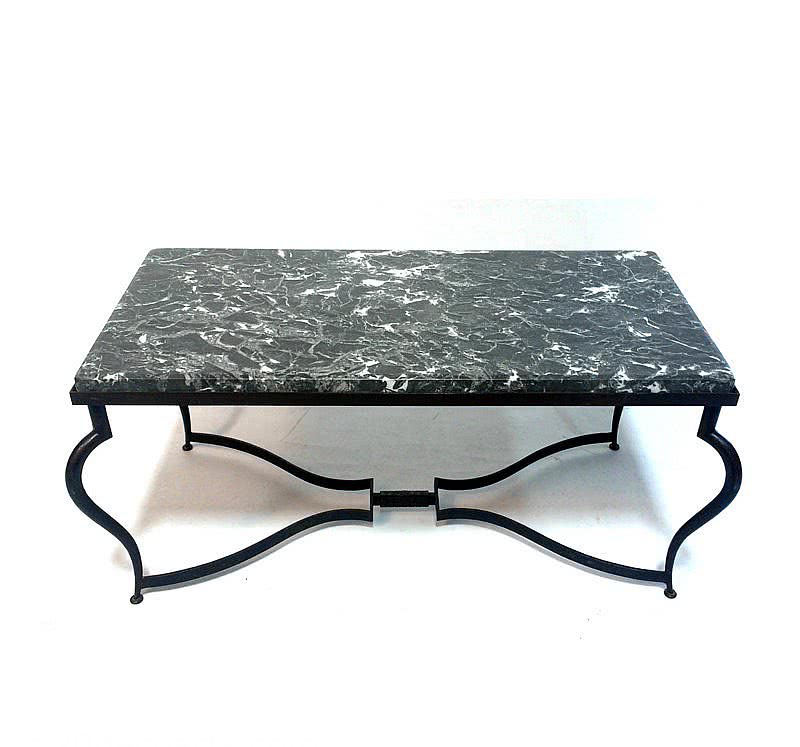 A Stunning 'Fer Forge' Coffee Table with Marble Top, c1930’s, attributed to Rene Prou, possibly made by Michel Zadounaisky. 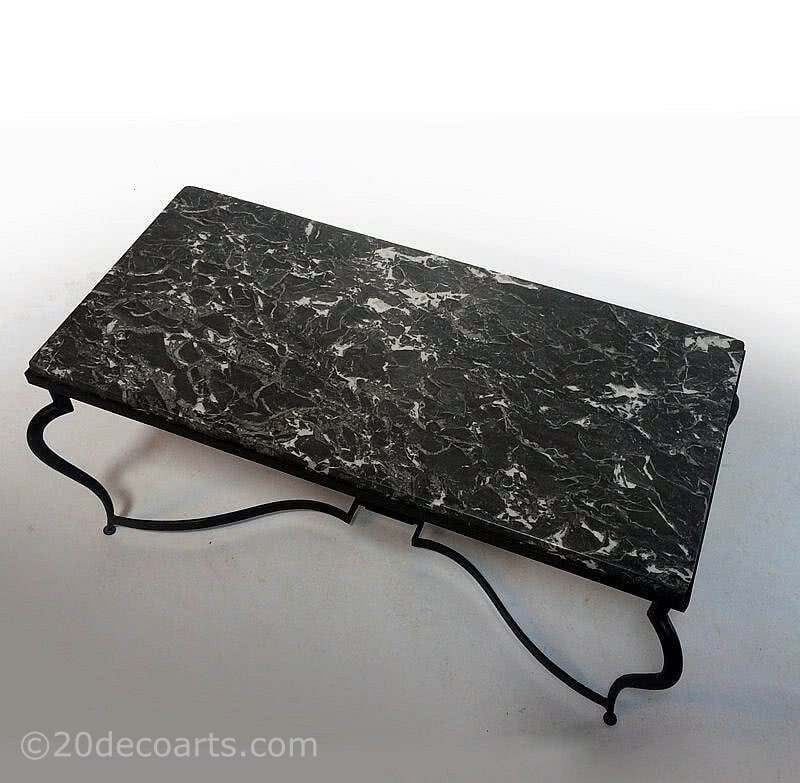 The wrought iron base finely worked, each leg beautifully shaped and tapered towards the feet, the elegantly shaped low stretchers meeting in the middle to give a strength and rigidity which belies the lightness of the design. The high quality thick 'Gris Cehegin' marble top sits in the iron frame and stands proud, polished with a chamfer around its edge. René Prou (1889 - 1947) was a French decorator and designer (called the first decorator of the modern taste) and one of the early designers of the Art Deco movement who in 1926 took part in the luxurious decoration of the Orient Express's Pullman Cars. Rene Prou also contributed to the design and decoration of various ocean liners and the Villa Noailles. In 1929 he began designing wrought-iron furniture which was produced by metalworkers such as Edgar Brandt, Raymond Subes. 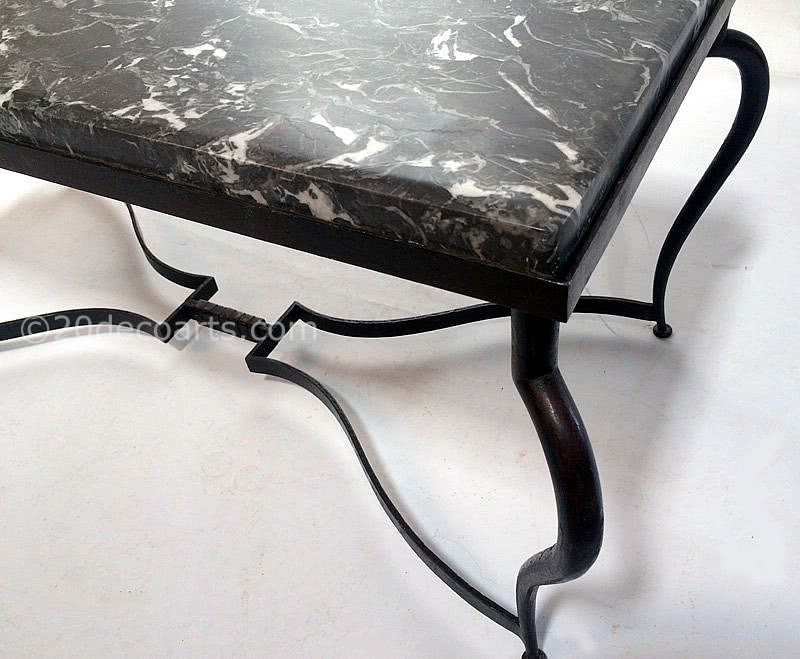 An example of this table has been found stamped Zadounaisky, it is possible Michel Zadounaisky made it to a design by Prou.